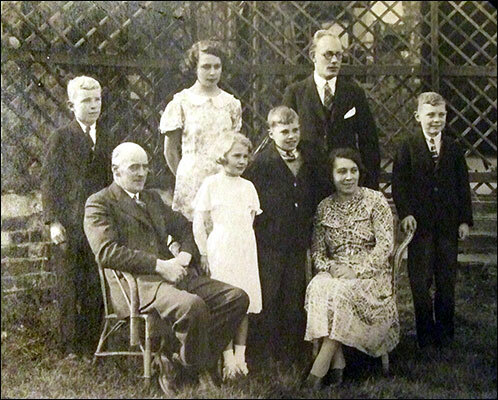 My fathers’ grandparents came to England from Dusseldorf, Germany. They first settled at Riseley, Bedfordshire where my great grandfather Peter began with a horse and cart delivering fruit and vegetable. The business did well and they eventually bought shops in Kettering, Bedford and Rushden. On the death of my great grandparents the business was split. The Kettering shop went to Franz Fett, the Bedford shop to Kasper Fett and the Rushden shop to Peter Fett (my grandfather). Peter married Elizabeth Maria Finch on the 23rd September 1920 at Rushden St Peter's RC church. Peter died in 1951 aged 69, and Elizabeth died in 1969 aged 81. Peter junior married in 1956. Peter had taken over the business, and later renamed it M Jones & Sons.